This time of year, the last of Summer’s beautiful weather begins to turn toward Fall. As Summer winds down, the Elk….aka The Elusive Wapati…. begin to descend from the Coast Range in search of food. We are the lucky beneficiaries of this annual migration, where Elk can be seen in our yard, along the roads and down the many trails that surround the Inn. 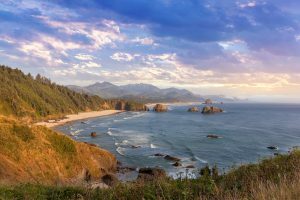 In that the Arch Cape Inn nestles along the Oregon Coast Trail, we often recommend that our guests take advantage of of both of these unique opportunities…to hike along the OCT and to likely see the Elk. Enjoy an especially stunning, but difficult hike from Arch Cape to Short Sands. This hike can be modified for all interest levels and abilities. 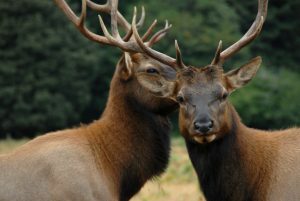 In the event that you want to see the Elk, but none are to be seen near the Inn…..you can always make a short drive to the Jewell Wildlife Viewing Area, which makes for a wonderful day trip…….there are so many other animals and birds to be seen as well. Come stay with us and experience this beautiful time of year. Be sure to add this Promo Code: Sep-Oct for additional 20% savings to any reservation made directly on our site through October.